Little girls are vibrant and full of color. They love to be bright. 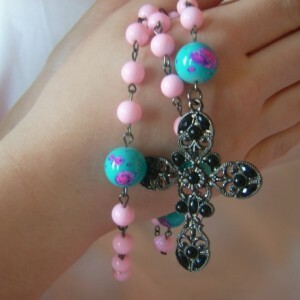 What little girl wouldn't love these bright colored Rosary Beads to show her love for the Creator. 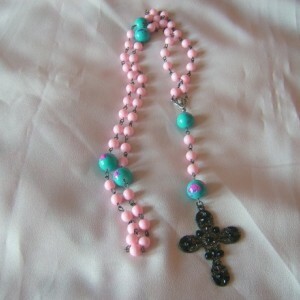 Pastel pink beads with bigger blotched blue beads. It is assembled with gun metal eye pins to showcase the colors vividly. 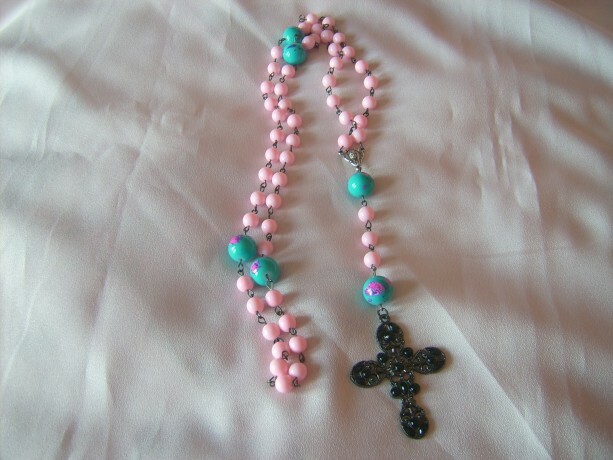 The cross is a dark filigree gun metal with black beading. It measures about 38 inches around. 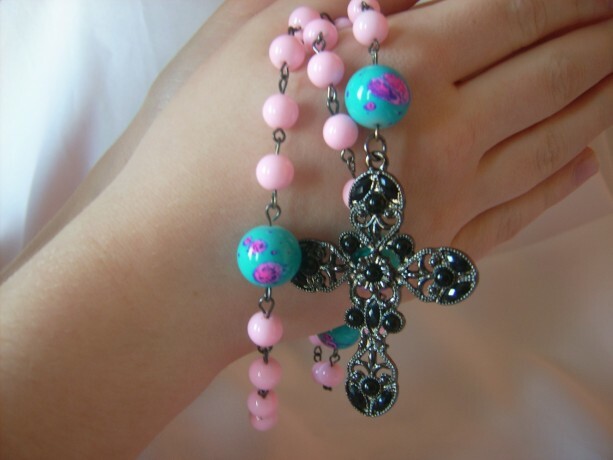 A lovely gift for a Communion or Confirmation girl.